Arrow has released the classic thriller Ronin onto Blu ray in the UK and the USA from a brand new 4K restoration and have included some new special features. On a rain-swept night in Paris, an international crack team of professional thieves assembles, summoned by a shady crime syndicate fronted by the enigmatic Deirdre (Natascha McElhone, The Devil s Own). Their mission: to steal a heavily guarded briefcase from armed mobsters, its contents undisclosed. 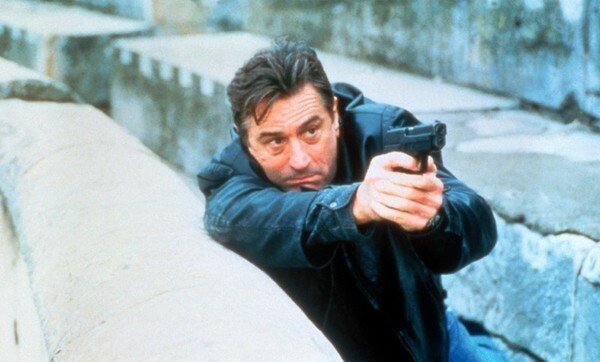 But what begins as a routine heist soon spirals into chaos, with the group beset by a series of double-crosses and constantly shifting allegiances, and it falls to world-weary former CIA strategist Sam (De Niro) and laconic Frenchman Vincent (Reno) to hold the mission together. Director John Frankenheimer known for such classics as Birdman of Alcatraz and The Manchurian Candidate returns to great form with this high-class thriller set in France and starring Robert De Niro, Jean Reno and Natascha McElhone with some superb action set pieces, especially two memorable car chases. The film has a good amount of intrigue, thrills, and action, to keep your attention throughout and it is a welcome watch when all the action is done for real, no CGI explosions here and the movie gives you the time to get you involved with the characters and see them develop. Two stand out sequences as mentioned earlier are the car chases and one fact about the filming is that Robert De Niro wanted to be seen driving the car so was put in the passenger seat of a right-hand drive car with a fake steering wheel while the stunt driver did his stuff. 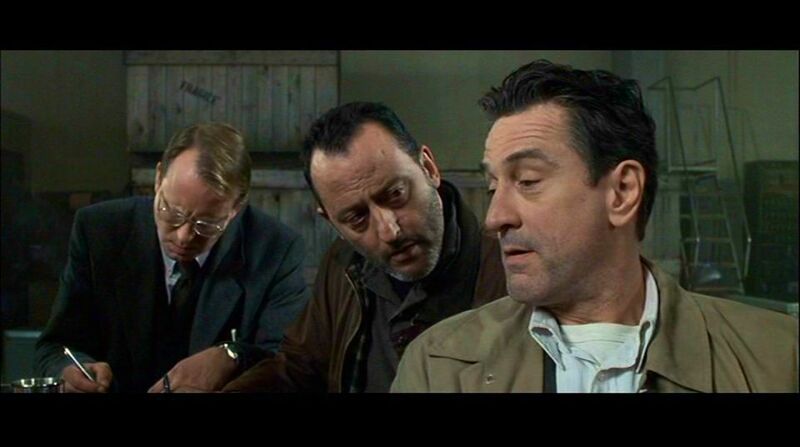 What De Niro wasn’t told at the time is that he was going to go full pelt and you can see the look of terror in De Niro’s eyes when you watch the scene! A great thriller that has stood the test of time well, very well acted by not just by the leads but an excellent supporting cast including Sean Bean and Jonathan Pryce. 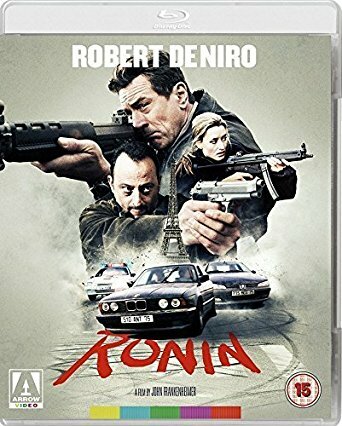 Arrow have released Ronin onto Blu ray with a very good looking 4K transfer. The original 35mm camera negative was scanned at 4K resolution on a pin registered 4K Lasergraphics Director Scanner at Deluxe’s EFilm facility in Burbank. Picture grading and restoration were completed at Silver Salt restoration in London. Robert Fraisse, Ronin‘s Director of Photography, supervised and approved the grading. You can see very fine detail in all the scenes, the colour palette is rather drab but intentional, film grain is fine but not intrusive. Audio gives you a great DTS- HD Master Audio 5.1 track, it’s aggressive and solid giving a great atmosphere to the movie. Alternate ending – an Interesting difference in tone to what was used. Another great release from Arrow and fans should definitely seek it out as it’s a big improvement over the previous older MGM release.